The other day, I happened to meet one of my client couples. It has been 10years since I had supported their wedding. 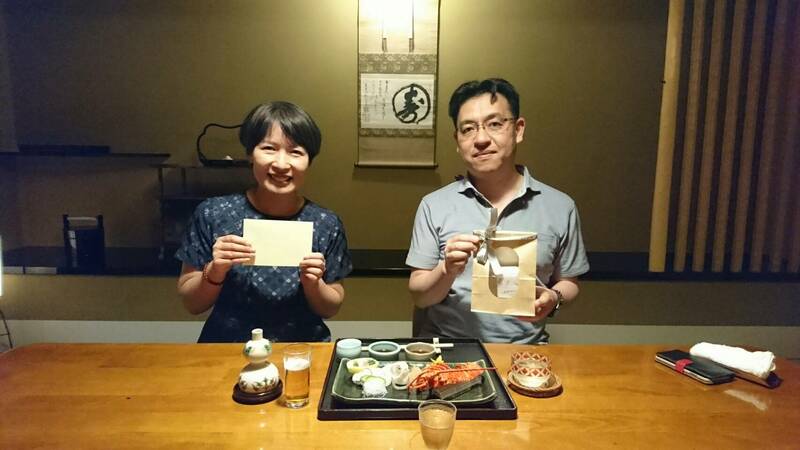 Mr. and Mrs. Hiranuma had their wedding reception at Doi (ryoutei restaurant) on May 25th, 2008. I was so happy to see them who haven’t changed at all! Fumiyo-sama in the red dress looked so beautiful.., it seems like only yesterday. “I would love to see you after 15years and 20years as well.